The TSGS Cruiser: "Chalet Dedication at Burdette Park 23 July 1993"
I have wondered about the dedication of one chalet for a long time, it is the only one with a thin metal plate that has tarnished somewhat. 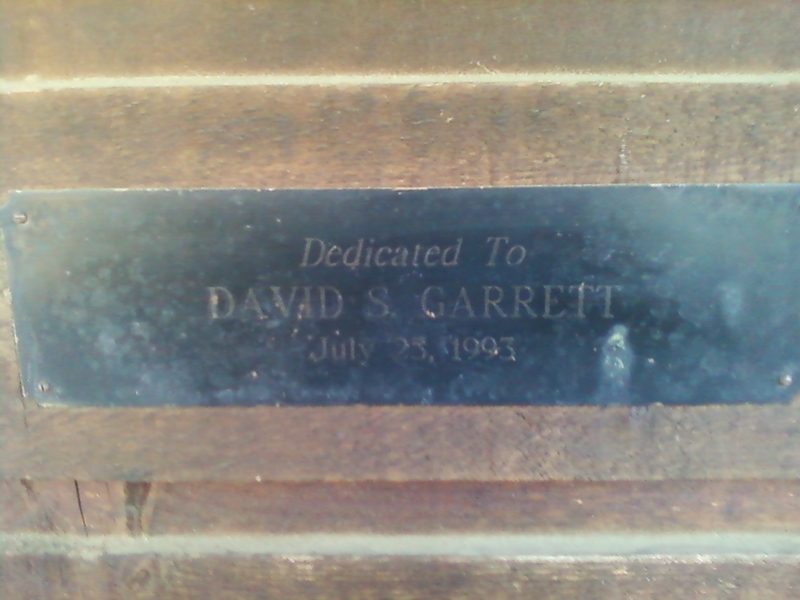 Here is what it says: "Dedicated to David S. Garrett July 23, 1993." I asked about him about 10 years ago and someone on the Burdette staff said that he was an employee who had died in an accident. Recently, I was at Burdette Park and noticed the plaque and took a picture of it with my new cell phone (below). I checked the online Browning Database to see when he died and maybe what happened to him. 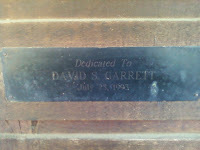 Garrett died on a Sunday 07 Mar 1993 from a motorcycle accident onUS 41. He was 32 years old. He was an ironworker and carpenter at Burdette Park.